Preparation time is never wasted time! I have to share a recent experience that of course, reminded me of one of my favorite Bible stories. It will revolve around the amazing subject of dating. I’m no expert in this field as it took me ten years after my divorce to actually begin dating. The move from Louisiana to Texas nine years ago was the catalyst that started my dating journey. I had a pre-conceived philosophy that was so beyond marred in many, many areas. In my defense, I will say my primary concern was introducing my children, primarily my son, to men who may or may not continue be in their lives. I knew the pain of divorce & how broken it can make one feel. My daughter, who was graduating from high school, clearly understood, approved & embraced the reasons for my divorce, but my son was in first grade. After my divorce, dating wasn’t exactly talked about in our church, nor was a ministry for singles. I’ll never forget how this made me feel when I found myself single…..again. I am a huge activist in many areas & this was no exception. We did establish a singles ministry, but the subject of dating or even re-marriage was swept under the rug. It was especially difficult for those of us with children or “baggage.” I was probably a dreamer even way back then, but I chose to believe there was someone who would accept my kids as their own. I watched my daddy, who was my idol, do this & it was the greatest example I had. Technology has provided some pretty amazing dating options. Dating websites are as vast as shoe choices. Age, biblical preferences, career, gender, & regions are just a few of the menus one has to select from when setting up an online profile. I have friends who met online & are now extremely happily married. I have high hopes right? For this dating method, I carefully follow self-determined standards & precautious perimeters. I was contacted by a handsome gentleman who lived in a nearby town. My first point of contact is preferably coffee. It’s innocent, very public & relatively safe. We both agreed, but sometime between the first contact & confirming where to meet, he met someone & felt like he couldn’t meet me too. This was a span of maybe 2-3 days! I’m from a different mindset in that unless we are exclusively dating, it’s just coffee. Nevertheless I obliged his feelings & simply forgot about it. About two weeks passed & I was contacted by the same gentleman again saying he owed me coffee. Not bringing up the past, I agreed to meet him. We chose an evening meeting for a glass of wine at a familiar venue. 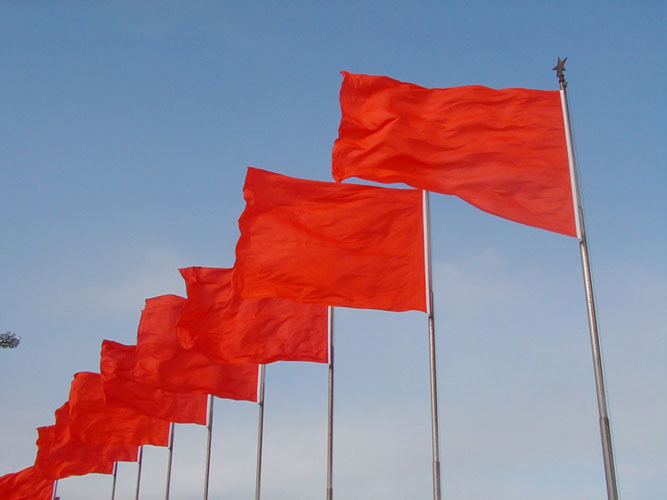 The rest of the story is a test for you to count the number of red flags that I immediately recognized. Ready??? Here goes! We scheduled the meet up for 8:15 pm because he was spending time with his buds on the golf course. This time was perfect for me. I arrived & he had already ordered a bottle of wine. I walked to where he was seated & extended my hand to greet him. He remained seated, but shook my hand. I believe in asking questions to make the person feel comfortable about our meeting & not talking about myself. Please understand this is not an interview type process, because I’ve usually conversed with them enough to choose key subjects to discuss, such as kids, activity preferences, hobbies, pets, etc. I soon learned that the day with the golf buds involved quite a bit of drinking. I continued my inquiries & conversation was going well if you consider 100% of it was about him. Yes, I realize I was asking the questions, but……… generally they’re reciprocated! I’m always curious about their online dating stories, so I asked for him to share his worst. After he answered, he offered the first question of the evening & wanted me to explain mine. I shared & at this point I wanted to hide! He obviously thought it was funnier than I remembered. I think our beautiful server picked up on the cues & when he obnoxiously insisted on telling her my story, she added hers which got high fives from me all the way! Oh….I forgot to mention he had spent quite a bit of time on his phone texting his “carpet man.” This was a Saturday night & the carpet man was coming on Sunday?? Yea, I guess that bump on my head made me forget I just fell off the banana boat! During our one-sided conversation he mentioned he worked 80-100 hours per week, had his son every other week & this combination pretty much consumed his time. I’ve learned to respond, not react to things that could rile me, so instead of asking, “So please tell me why you’re on a computer dating site & why’d you insist on meeting me again?” I smiled & said nothing. He then asked if I wanted to go outside to sit around the fire-pit. It was a beautiful moon so of course I agreed! This was his second & last question of the night! There were others outside around the fire-pit & he began a repetitive conversation with them about his golfing day & how he works 80-100 hours per week & has little time for anything else. Again, I refrained from saying anything. At this time I was very thankful I learned how to exhibit emotional intelligence. We talked some more & he concluded he was ready to go home. It was the best thing I’d heard the entire night! As we made our way outside to say our goodbyes, he thanked me for meeting him. Smiling, I nicely suggested that the next time he scheduled to meet someone, maybe he should consider not making them the leftovers for his day. He shockingly searched for words & mentioned he wanted to meet before he got his son next week. I politely responded by saying we could have waited & I didn’t appreciate being the leftovers. I then informed him that others may not mind, but I value myself much more than that & again……..I didn’t appreciate it. He offered to walk me to my car, but I wasn’t even sure he could find his, so I explained I could get to mine just fine. I waited & watched him drive off. I immediately felt this was a total waste of my time. How could I have agreed to meet him? Did I miss the warning signs? Typical self-evaluation & verbal beating! Wait! This, in fact, wasn’t a waste because I loved the venue & each experience that is less than perfect will make me appreciate the ones that are. During my drive home, I turned my miffed attitude into gratitude. I was suddenly reminded of the story of Esther & how they were prepared to meet the King in hopes to be chosen as his Queen. The selection process itself was quite extensive. The year-long preparation involved the girls being thoroughly groomed & mentored in every area of their lives. It’s just like God to quickly help me realize preparation time is never wasted time. Also the fact that Esther was very courageous to stand up for what she believed in & what truly mattered to her. I will continue following my guidelines & gladly accept the opportunity for coffee or venues I trust allowing these teachable moments to prepare me for my “King.” Most importantly, I’ll also use this time to grow & strengthen the areas I need improvement in. So…..how’d you do? How many red flags did you count? If you say at least 10-11, you’re very perceptive! I’ll hone in on dating skills, enjoy the opportunities & let you know when I’ve been successful. Please share your experiences!! Include what significant points were gleaned from them & how you used them for the next round! Inquiring minds want to know! You are valuable, beautiful/handsome, & will be a priceless asset to the one person who wins your heart. Please, please, please don’t compromise for less than the best.